The Nescafé coffee experts slow roast a blend of Robusta, the high quality Arabica coffee beans and full-bodied Robusta beans to deliver a consistently bold, well-rounded flavor and rich aroma that you can always rely on. 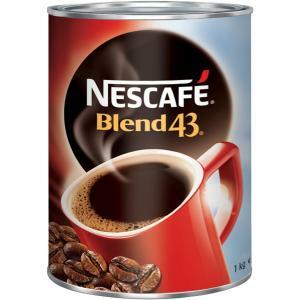 Nescafé Blend 43 is Australia’s favourite instant coffee. Blend 43 is a high quality, consistent coffee that brings satisfaction with every cup. The slow roasted coffee beans bring a rich aroma and balanced flavour.